ASLM Congratulates Dr Tedros Adhanom Ghebreyesus on his Election as Director General of the World Health Organization. 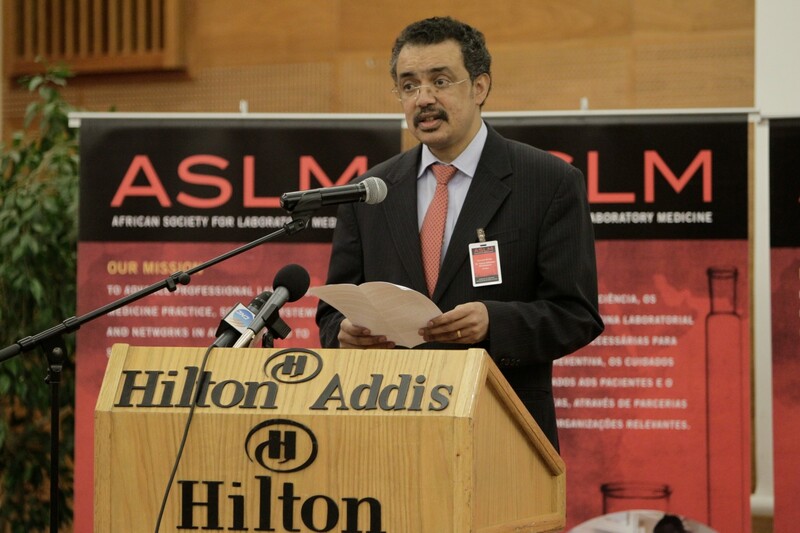 The African Society for Laboratory Medicine (ASLM) applauds the election of Dr Tedros Adhanom Ghebreyesus to the post of Director General of the World Health Organization (WHO), the first African elected to this important global health leadership position. Dr Tedros has contributed significantly to the advancement of health in Ethiopia. He expanded health care access to tens of millions of Ethiopians, achieving ambitious health targets and setting Ethiopia on a path to sustain and build on this success. He is also well known for advocating and supporting the improvement of the national laboratory system, making Ethiopia among the first countries in Africa with a strong roadmap for quality laboratory system strengthening. 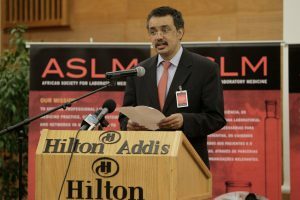 “The ASLM family is extremely proud of Dr Tedros, not only because he is the first African to hold this post, but also because he is a key founding member of ASLM. In fact, he was among the keynote speakers at the inaugural meeting of ASLM in Addis Ababa in March 2011,” said Dr Ali Elbireer, ASLM’s CEO. In honour of this historic occasion, ASLM publicly recommits itself to the goals of its ASLM2020 strategic vision – improved patient care and disease prevention and control through a strengthened laboratory workforce, laboratory accreditation, harmonised pan-African regulatory systems and strengthened national and regional laboratory networks. ASLM extends its appreciation to Dr Tedros for his critical support in the establishment of ASLM and wishes him a successful tenure at the helm of the WHO. ASLM looks forward to working together with the WHO and the new Director General both in Africa and globally to establish quality laboratory systems, which are the center piece of effective preparedness and response in the event of epidemics.